Wikki Stix Money Activities for Kids! 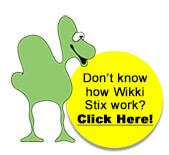 Teaching kids about money is fun with Wikki Stix. The activities suggested below will help kids gain an understanding of coins and coin values through hands-on and playful learning. Materials needed: 4 Wikki Stix, pony beads (any color – 41 beads for each child) and a penny, nickel, dime, and quarter for each child. 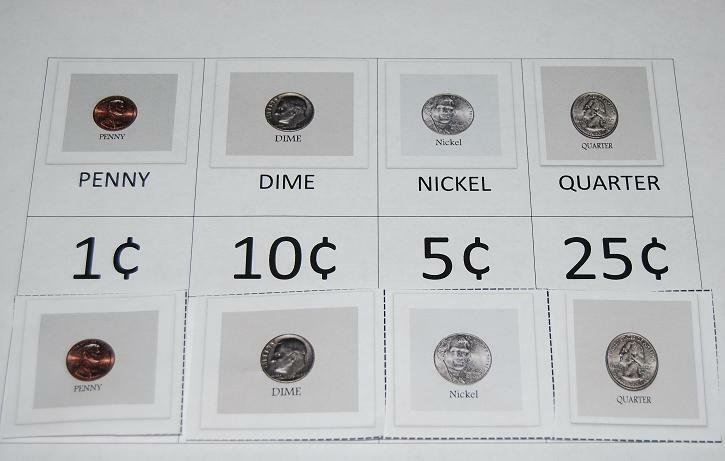 Introduce each of the coins to the children: a penny =1 cent; a nickel=5 cents; a dime =10 cents; and a Quarter=25 cents. Invite the children to place each coin on the far left side of a Wikki Stix. No tape or glue is necessary as the Wikki Stix will adhere to the metal coins. Set the pony beads out in a basket or small container. 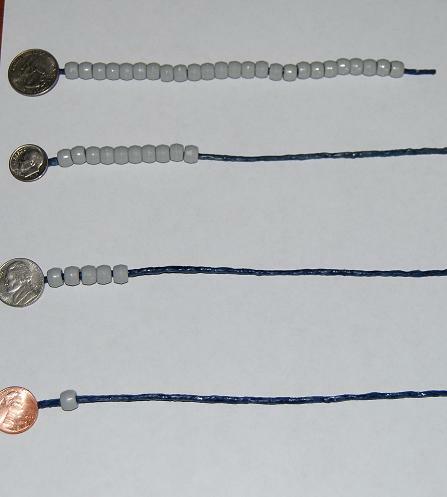 Have the children count out the number of pony beads that correspond to the coin values (for example: the quarter counting stick should have 25 pony beads). The pony beads fit nicely on the Wikki Stix and it is also a great activity for enhancing fine motor skills! 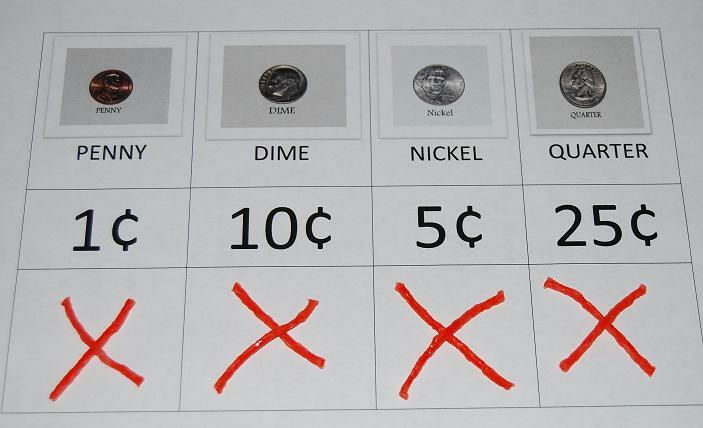 Older children can use different coin combinations on each counting stick (for example: a nickel and a dime could be placed on the Wikki Stix). The children would then need to add 5 pony beads PLUS 10 more pony beads to the same counting stick. Materials needed: Wikki Stix, white paper, scissors, and an assortment of coins. 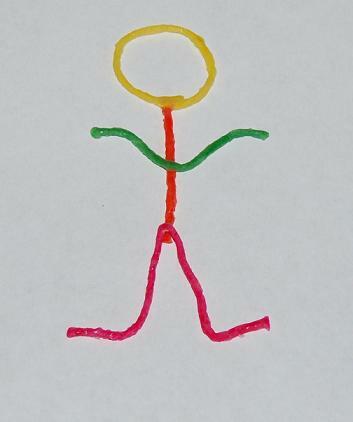 Invite the children to create a basic stick person on paper with Wikki Stix. The person can be as elaborate or simple in design as they children desire (or have skills to create). For very young children, draw a basic design on a piece of paper and see if the children can copy the lines with Wikki Stix. Wikki Stix can be cut with safety scissors, but younger children may need assistance cutting pieces for the arms, body, and legs. The children can then use the coins to create a head, hands, feet, or to cover the coin man’s body. Have the children count the coins on their coin man and ADD the coin values to find the total. The number can then be created with Wikki Stix, if desired (see photo below). 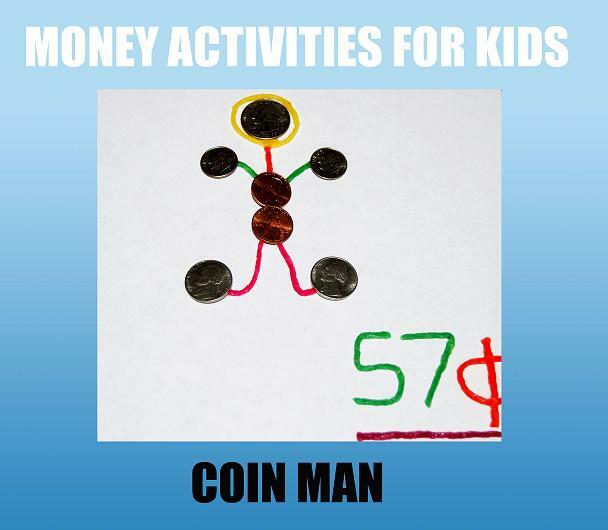 Younger children might wish to use only pennies (or fewer coins) to create their coin man. Older children can use quarters, half dollars, or any combination of coins. 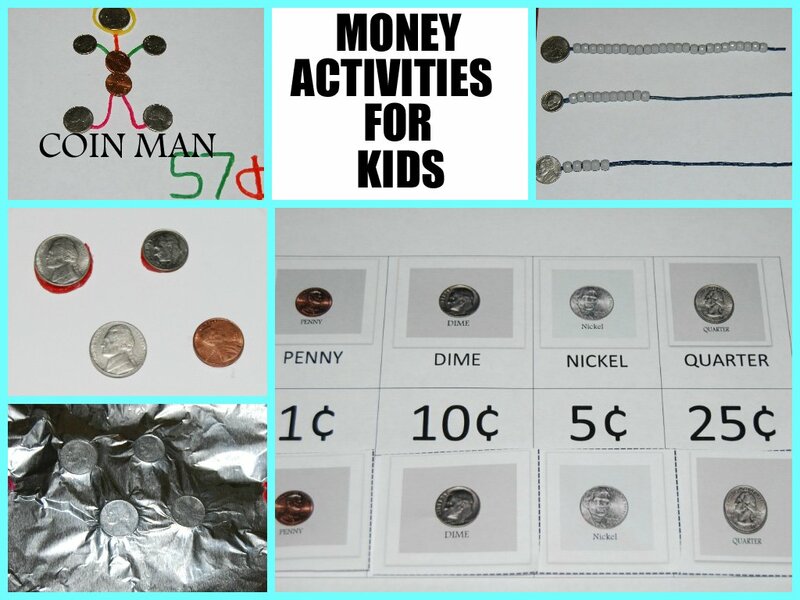 Materials needed: Wikki Stix, Aluminum foil, Paper Plates, and Coins. Coin rubbings are a fun sensory activity to help children distinguish between different coins. Invite the children to make a small ball or spiral from Wikki Stix and use the spiral to adhere the coins to a paper plate (see photo below). Cover the coins with a piece of aluminum foil and use Wikki Stix to hold the aluminum foil in place. The children can gently rub a finger over the raised coins to make coin prints. It’s a little coin “magic” for kids when the images appear! Materials needed: Wikki Stix, one printable MONEY MATCHING game file (download the PDF file here), and scissors. Prior to the activity: laminate the game file pages for durability (or cover with clear contact paper). Invite the children to cut out the coin cards on page 2 of the file. The children can use Wikki Stix to adhere the coin cards to the corresponding coin values on page 1 (the children can make an x with Wikki Stix or form small spirals to adhere the coin cards). For an additional activity: have the children cut out all the coin cards and randomly place them face down on a table or the floor. The children can play a “memory style” matching game with the coin cards. One child must turn over two cards at a time to find a matching pair of coins. If the child does not find a pair, the cards are turned face down again. Play then passes to another child (or continues with a single player) until all the coin cards are matched. PLEASE NOTE: coins are a choking hazard and activities would not be appropriate for children who still put objects in their mouth without direct supervision.